Enjoy a laid back island lifestyle. 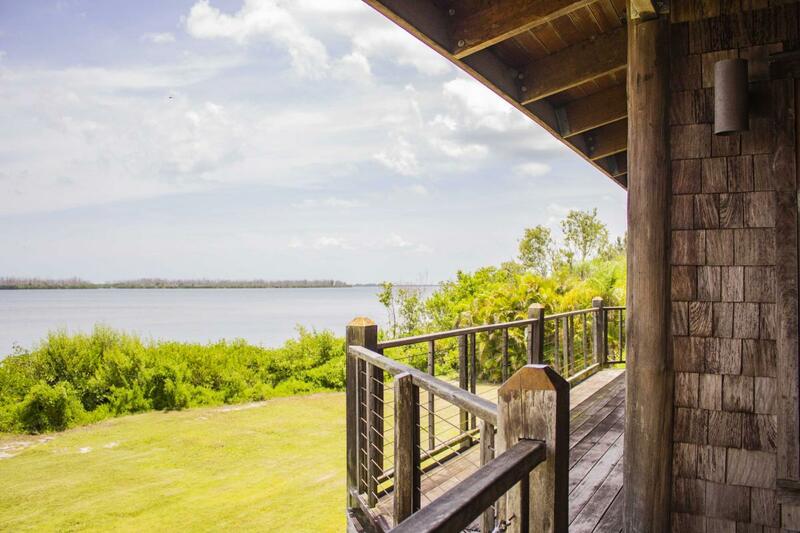 This custom built island paradise is on Grant Island in-between the Indian River and the Intracoastal Waterway near Sebastian, FL. The #1 Grant Island compound consists of a 2 story Main House with east and west wings surrounding an atrium, a Guest House, Bath House, Pump House, and Shack House. Constructed with high-end legally imported exotic woods, this breathtaking master carpentry estate is a must-see. Wrap around terraces and 123 windows and doors provide incredible views, and they utilize hurricane-proof glass. The compound is built on the highest part of the island. Two docks provide access from the Intracoastal Waterway down the private canal on the west side, and from the Indian River on the east side. 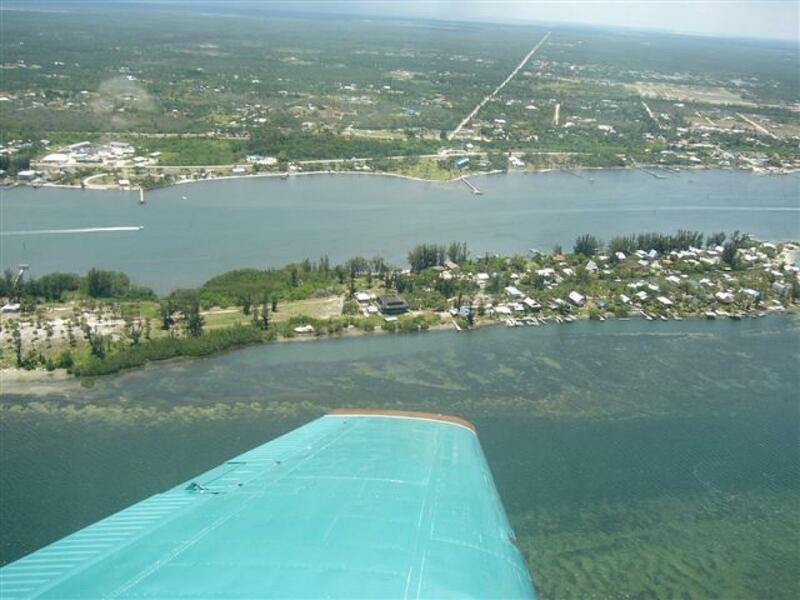 The property consists of 2 lots with approximately 280 feet on the Indian River. With the value of raw materials exceeding the asking price, no cost or craftsmanship was spared in the construction of this one of a kind home. 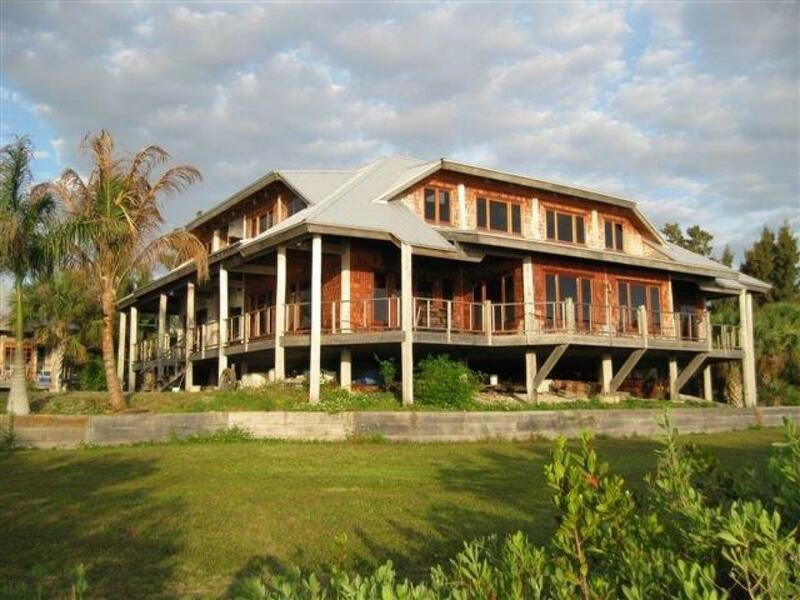 Main House - East Wing, 2 stories, 2 upstairs loft style bedrooms connected by a bridge with a full bathroom. 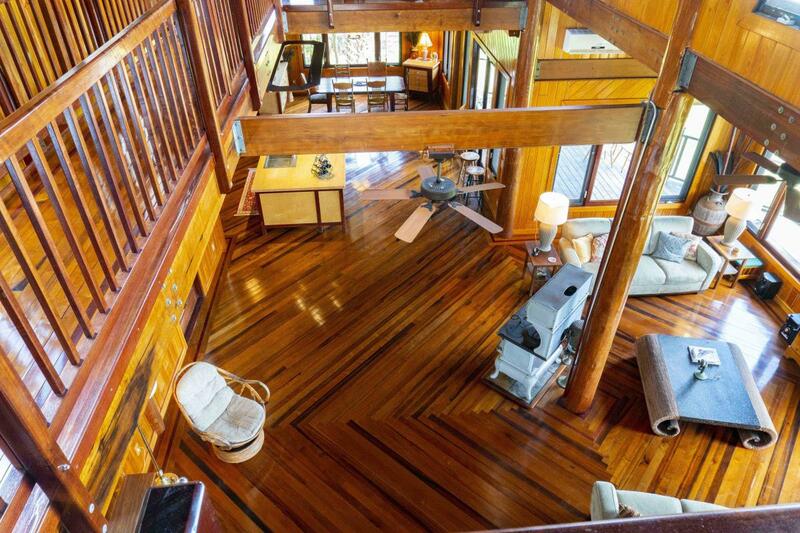 The first floor features an open floor plan with a soaring 30-foot high ceiling. It also features a living room and open areas, formal dining room, and an open kitchen with an incredible custom built 10' x 5' island. There is an enclosed pantry with an electronic security/media system. A half bath is just across from the pantry. 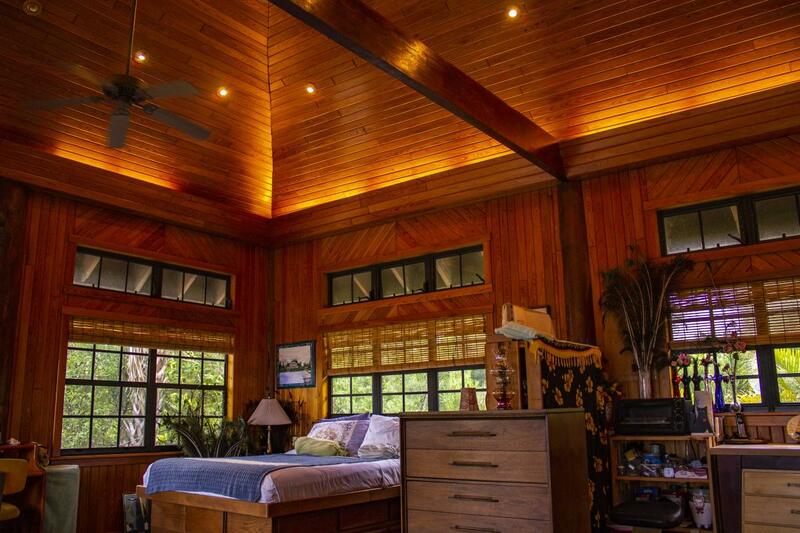 The interior walls are hand-milled Cypress wood and the floors, doors, and window frames are Greenheart and Purpleheart wood from South America. Main House - West Wing, 2 stories, 2 private entrances, and is still under construction. Each floor has a full bath and closet with plenty of room for 2 or more bedrooms, as well as a living area with kitchen facilities. The buyer can customize the West Wing to her or his design as the electrical, plumbing, and insulation are all in place. Both the East and West Wings are surrounded by a wrap around terrace of varying sizes with a huge patio area near the Atrium for outdoor enjoyment. The Sebastian Inlet for ocean access is just to the south. The Guest House is 24' x 24' with a soaring ceiling. 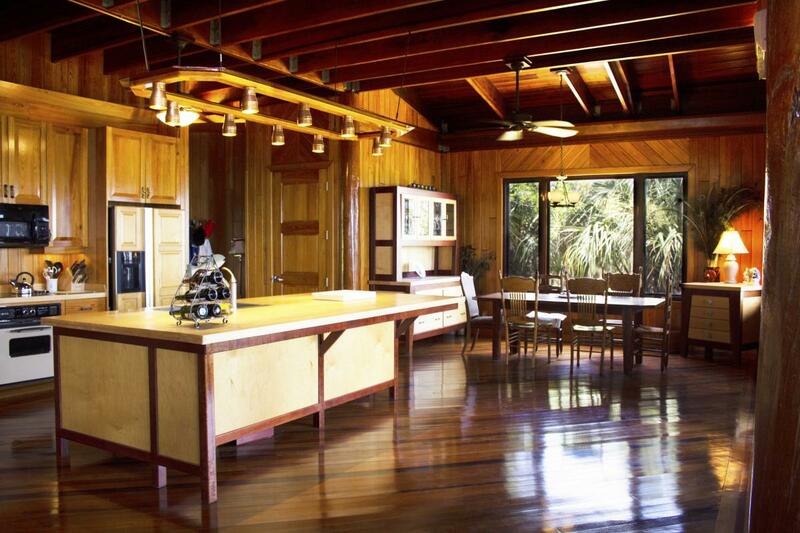 Beautiful Purpleheart and Greenheart wood floors and Cypress walls copy the exotic appeal of the Main House and were also used to build the custom galley kitchen. The Guest House also features an array of windows to provide natural light and incredible views. The Bath House is a free-standing structure for the Guest House and includes a full bath, laundry facilities, and storage space. The Pump House contains indoor and outdoor pumps and includes a 350-gallon water tank, water bladders, Bladder pumps to oxygenate the water, and taps into a 380-foot deep Artesian Well. The Shack House has electricity and air conditioning. It can be used as an additional living area, cabana/boat house, or storage. There's an outdoor shower next to the Shack House. #1 Grant Island is completely custom designed and custom built to exceed code standards. It's a unique masterpiece that will fulfill your dreams of an island lifestyle.